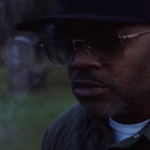 The life of Damon Dash appears to be an epic triumph to some, a Shakespearean tragedy to others. It depends on where you’re standing when you look at him. After speaking with the hip hop mogul turned entrepreneur and filmmaker, I can tell you Dame Dash’s story is more nuanced and complex; and is still being written. 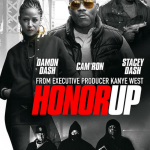 Dash hopes his new film, Honor Up, a semi-autobiographical story about the code of street honour, executive produced by Kanye West, and starring Dash, Nicholas Turturro, Michael Rispoli and Cam’ron; will give audiences an authentic portrait of who he is beyond the media’s checkered narrative. He tells me the unwavering code of honour depicted in the movie has informed every choice he’s made in his adult life.